Best Crowdsourced logos are designed at – 99designs I love my logo that was designed by 99designs! Today’s entrepreneurs are lucky to have many high-quality graphic design sites they can get a great logo designed for a good price. In the not so distant past, this entrepreneur had to spend thousands of dollars, and months of time to get a decent logo. The process of getting a new company logo designed was slow, not very efficient, and often frustrating – dealing with some temperamental and tardy artists. To get your logo designed via crowdsourcing is perfect for new entrepreneurs with limited budgets, who want to get started now and get a great brand logo for their company. Instead of working with a single artist, you work with many creative professionals, ie the crowd, who submit logo design ideas for your review and acceptance of one as the winner of the logo design contest. The reason that I recommend new companies use these types of crowdsource and graphic design contest logo design sites is the good combination of ease, convenience, and selection of designs. My first impression of CrowdSpring was lackluster at best. I found their site navigation sort of confusing and some of the pages were inaccessible. I got suspicious if they are a design company who creates websites why is their site broken? Could have been an isolated technical error. Another frustration was that they do not show very many actual logos that were designed at CrowdSpring. Plus you had to find any sample logos under a weirdly named button called Explore. As a buyer, I want and need to see the kind of quality I can expect when I launch my own logo design contest. Being able to view results of past logo designs is critical when you are buying based on future expectations of service. Some of the contests were marked private, so we the public could not view them at all! 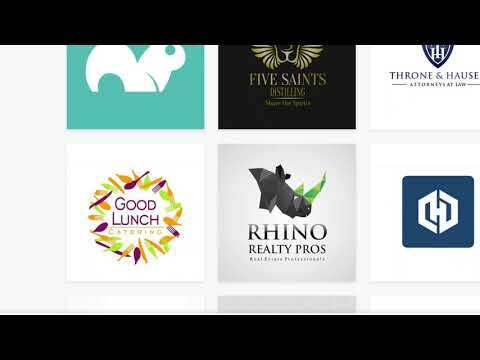 Below are two screenshots to compare CrowdSpring vs 99Designs recent logos designs for law offices and legal services. You decide. I found the Crowd Spring ones boring and uninteresting, whereas the logos from 99designs were original and fresh. Video Series: Come tag along as I purchase a new logo for this website. In this watch and learn video series 99 design review. CrowdSpring logo designs are amateurish and not very creative nor fresh. See the comparison below where some of the logos were winners from recent contests. The over-reliance on text and stock imagery is hardly worth $299. If I was should this logos and asked the design price it would be about $49. Pricing comparisons show that both sites CrowdSpring and 99designs are exactly the same price. However, the quality of 99designs is far superior. Plus you get many more logo submissions for your money. CrowdSpring says you will get dozens (24 or so) while 99designs says you will get at least 60 designs in the starter packages. I ordered the Bronze logo design package and got over 100 submissions! The other site, CrowdSpring did not let me try the Logo Design Brief process before I entered my credit card – thus I did not know if I would like or be able to use their system. I do not like to buy services for hundreds of dollars without being sure beforehand. One of the toughest things for business people to do when creating a new logo is to explain what they want. We have some vague ideas in our heads but find it hard to articulate them to a visual designer. Enter 99designs who know this and create a simple questionnaire that asks you easy to answer questions that pull my ideas out of my head to create a logo design brief that designers can understand and work from. My review of logo design guru vs 99designs concludes that 99designs are the winning choice for your logo design project.